Ethics and Business are a combination of values shared by the family that has been in business for over 100 years. There is no precise recipe that can guarantee the success of a company, but if there were, the ingredients could not fail to include the founding values on which a company should be based: the union of energy and flavour. An intense, ancestral, unique and direct flavour, to be savoured, understood and enhanced. Welcome to our estates. Welcome to the small big world of Villa degli Olmi. 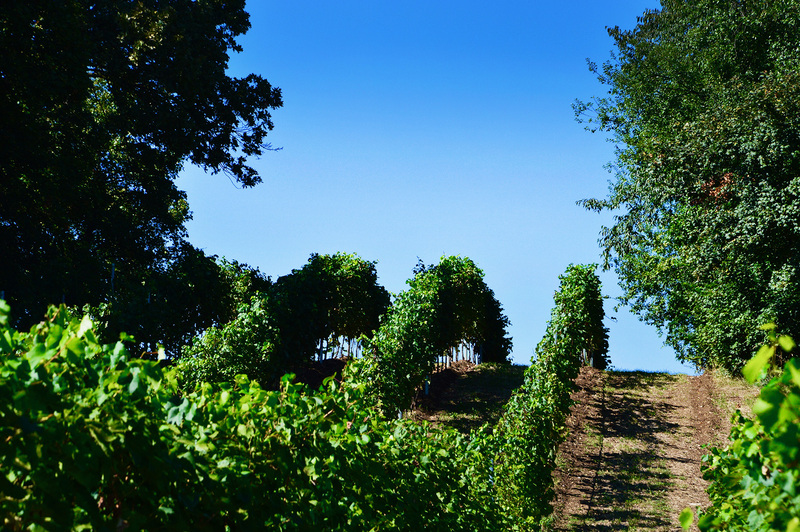 In recent years, some lines of wines with strong regional connotations have been launched to satisfy the taste of increasingly demanding customers. These products, vinified according to the precise indications of our winemakers and then refined at the headquarters of Altavilla Vicentina, propose the best that Italian wine-making can offer in bottles with an innovative and attractive design. The colour is purple with a violet tinge. The nose is intense with pleasant herbaceous overtones. The taste is dry, fullbodied, velvety and with subtle tannins creating an elegant finish. Food matching: with soups, with rich pasta dishes, with grilled red meat roasts and game. The colour is gold straw yellow. With a pleasant bouquet with note of almond and peach. The taste is dry. Persistent and smooth foam. Ideal with appetizers, with meals based on fish and percet throught the meals. The colour is pink. The bouquet is delicate and armonious. The taste has a floral, fresh flavour with a pleasant acidity. Vinification process: soft pressing of the grapes, followed by a second fermentation in steel tank. Ideal with aperitifs, appetizers, fish and shellfish. The colour is ruby. The bouquet is pleasant with hints of red fruits, mixed with liquorice and fresh mint. The taste is dry, with pleasant soft tannins. Perfect combined with elaborated red meats, spicy food and aged cheeses. The colour is intense ruby, with purple scents. The bouquet is pleasant with hints of red fruits and of almond fruits. The taste is dry, velvety and well balanced. Perfect combined with elaborated red meats, spicy dishes and aged cheeses. The colour is deeply purple with a violet tinge. The bouquet is complex, with sensation of leather, chocolate and ripe red fruits. The taste is harmonical, persistent and full bodied. Ideal with red meats, lacked duck, aged cheeses and spicy dishes. The colour is deeply yellow. The bouquet is rich with mineral notes. The taste is dry. Perfect combined with pasta dishes based on fish and vegetables. The wine has a bright straw yellow colour. The bouquet offers a delicate pleasing and characteristic bouquet. The taste is dry, well balanced and velvety. Ideal with appetizers, with delicate soups or risotti and dishes based on fish and shellfish. The colour is straw yellow with greenish nuances. The bouquet offers an harmonious, aromatic and appealing scents of sweet pepper and tomatoes leaves. The taste is pleasant and fine. Ideal with appetizers, with delicate pasta dishes, fish and shellfish. The colour is pale yellow with golden tinge. The bouquet offers flowery sensations and memories of pears. The taste is pleasant and harmonious. Ideal with vegetarian combinations, with delicate pasta dishes, fish and shellfish. The colour is intensely ruby red with a light purple tinge. The bouquet is pleasantly fruity with hints of blueberries leaving herbaceous hints for the ending. The taste is soft, velvety, harmonical and persistent. Ideal with dishes based on pasta, all kinds of meat, pork chops and rich spicy dishes. based on fish. The colour is deep purple with a violet tinge. The nose is intense with pleasant herbaceous overtones. The taste is dry, fullbodied, velvety and with subtle tannins creating an elegant finish. Food matching: with soups, with rich pasta dishes, with grilled red meat roasts and game. The colour is yellow with greenish nuances. The parfume is intense and the taste is harmonic, persistent and velvety. This organic wine is perfect with delicate dishes, dishes based on fish and shellfish and vegetables. Perfect with cheeses and appetizers. In a deliberately playful and joyful way, we wanted to sharpen tasting skill in simple steps. Discover them and smile with us. The idea came to entrepreneur Bruno Cielo in 1988. The opportunity to play the game of golf in the context of an extraordinary landscape, one step away from the city, made it possible to transform the idea into conviction and conviction into reality. 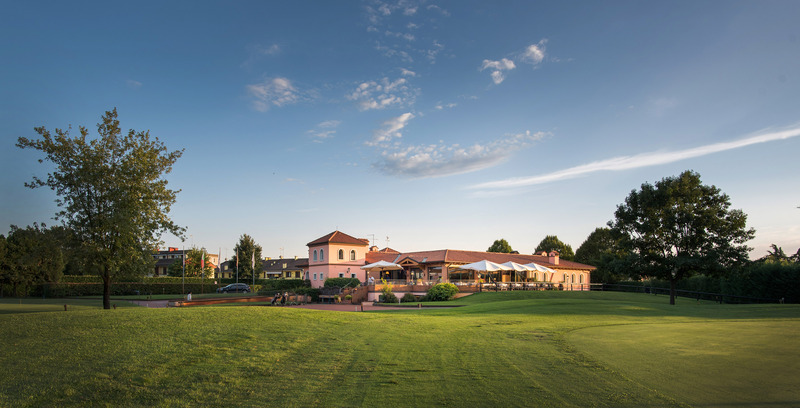 It has been this way since the inauguration in 1992 up to the present day: Golf Club Vicenza is a unique reality, constituting a green lung for safeguarding the natural beauties that have always surrounded the city of Vicenza and its hills.